Our host was wonderfully kind and welcoming.He really made us feel at home. The apartment was extremely clean, beautifully decorated and the beds were very comfortable. 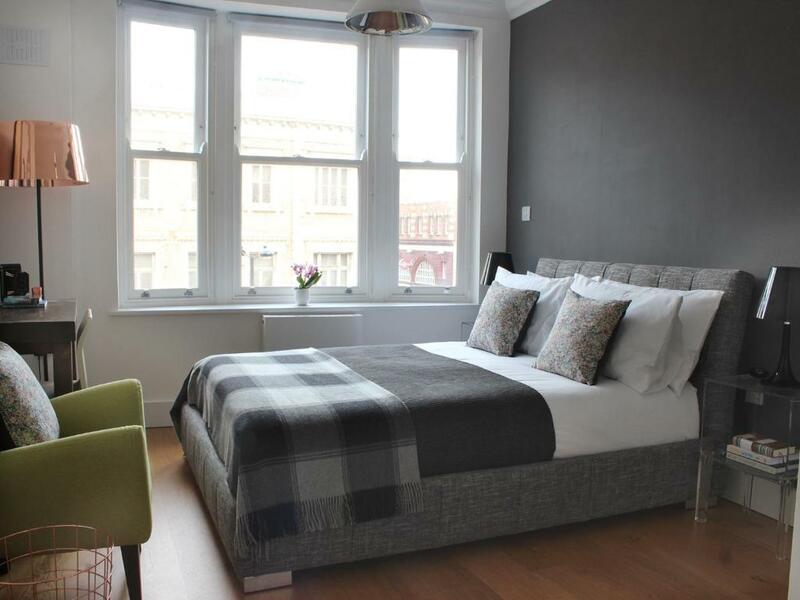 It is ideally located in the heart of Camden town and the smaller bedroom (rear) is quite, even on weekend nights. 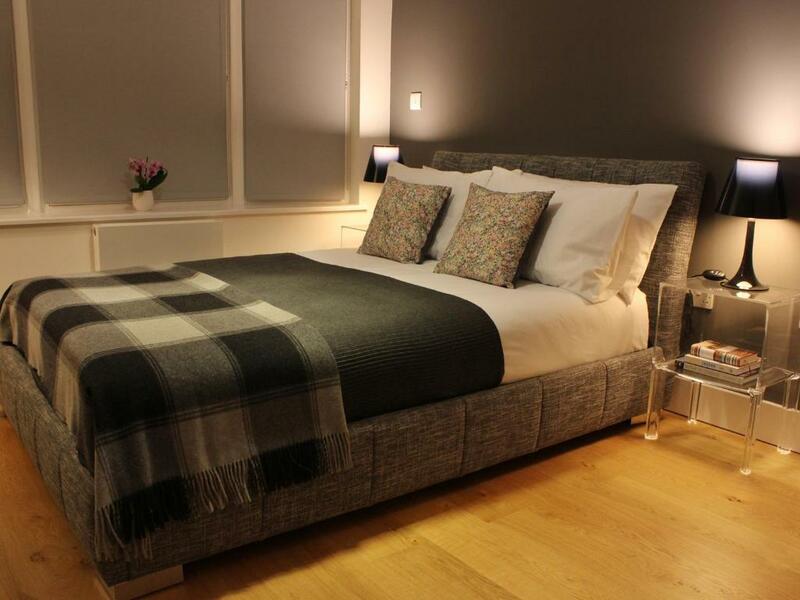 Great location in Camden - camden lock & market within a ten minute walk. Host Gary was really friendly and punctual, also offered advice on local area which was good. Across the road from Camden tube station. Lovely and clean apartment - would definately stay here again. Camden Central truly felt like a home away from home! 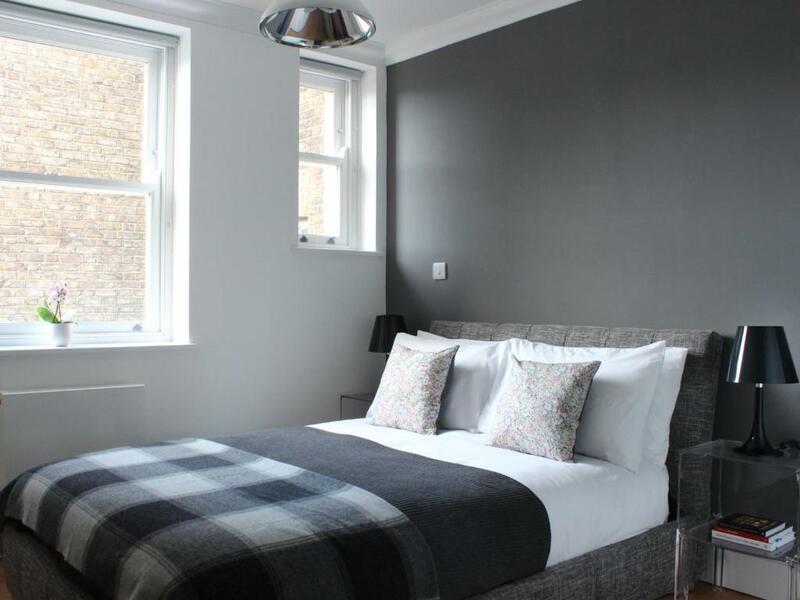 Accommodation as modern, clean and spacious as this is very rare in London. This 2 bedroom 2 bathroom apartment was very comfortable with beautiful modern decor and great attention to detail. Many books to read to get to know London and guide your days activities. We were literally across the road from Camden Station, perfect for sightseeing both London and for day trips to surrounding areas. Thank you thank you thank you! Absolutely fantastic stay! Clean and comfortable, nice holder helping us carrying the luggages and accompanying to find the free parking place. Location was great, apartment very clean and modern with everything we needed. We could check in sooner and check out very early in the morning. The owner was very nice and helpful. I would definitely recommend this apartment and I would come back next timw again. First class apartment, amazing location, really helpful and obliging people who run it. Will be back for sure. 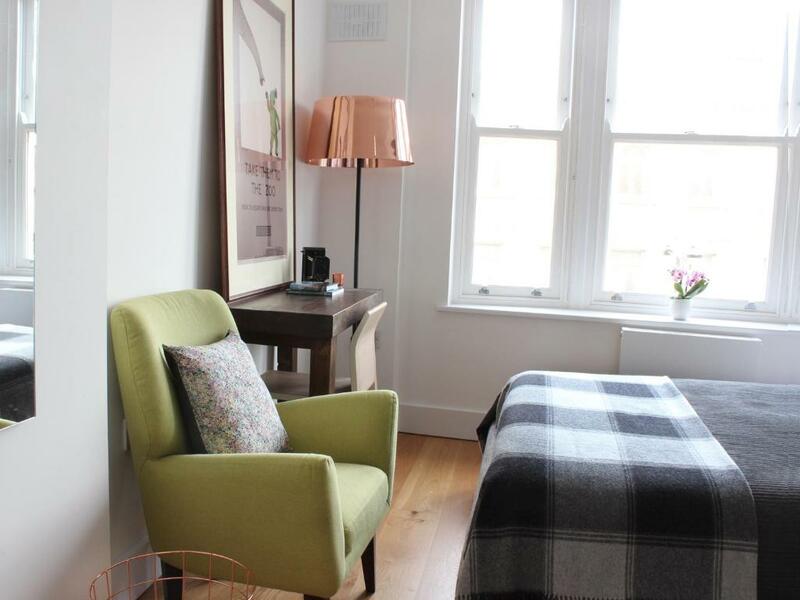 Great apartment: clean, elegant, beautifully furnished, quiet while being in a lively area. We recommend it! Clean and comfortable apartment. Nice host and willing to serve us as we were travelling withs a baby. Lots to do without travelling too far and proximity to underground. Good for people watching. 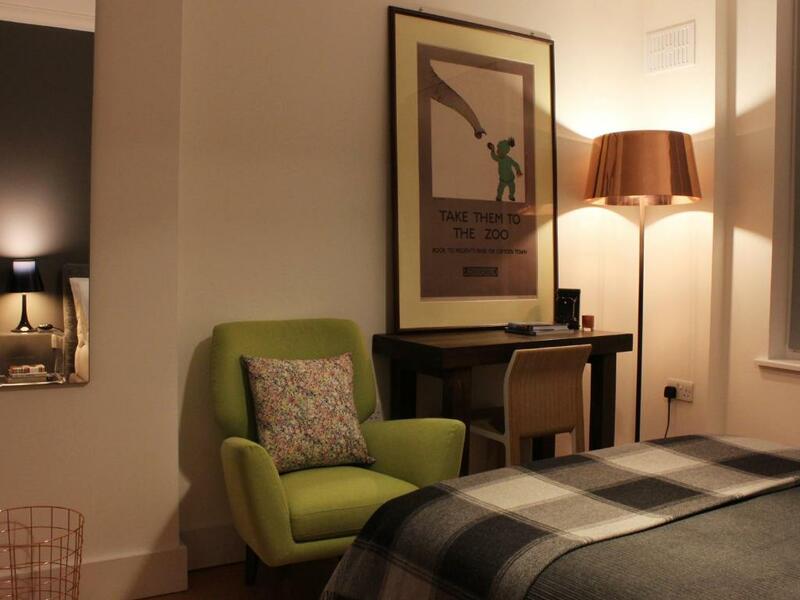 Lock in a great price for Camden Central - Boutique Apartment – rated 9.5 by recent guests! One of our best sellers in London! Camden Central - Boutique Apartment is a self-catering accommodations located in the center of Camden, London. 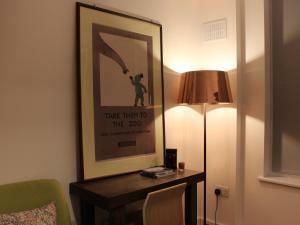 There is free WiFi access available and the property is just 350 feet from Camden Market and Camden Town Tube Station. Accommodations will provide you with a TV and a lounge area with a sofa bed. There is a fully equipped kitchen with a dining area, a microwave and an oven. The bedrooms are large and luxurious and one features an en suite. There is also a main shower room. If you feel like visiting the surroundings, London Zoo is a 15-minute walk away. London King's Cross Station is just over a mile away and London Heathrow Airport is located 20 miles away. In this area you can shop 'til you drop for popular brands like H&M. 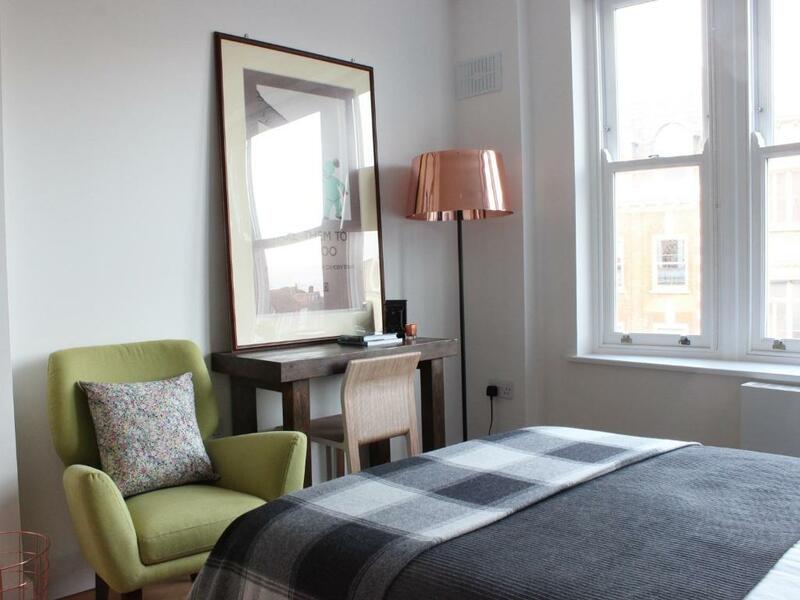 When would you like to stay at Camden Central - Boutique Apartment? This apartment has a TV and a lounge area with a sofa bed. There is a fully equipped kitchen with a dining area, a microwave and an oven. 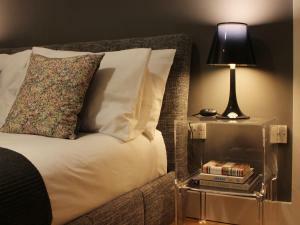 The bedrooms are large and luxurious and one features an en suite. There is also a main shower room. 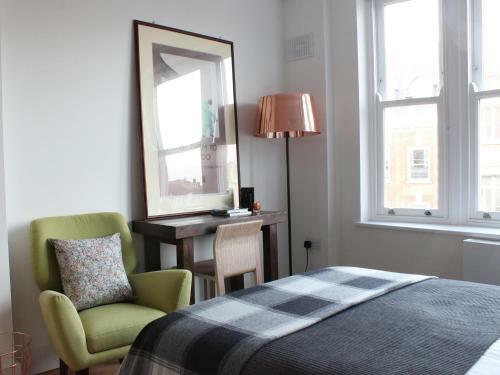 Located in the heart of Camden Town, the great pleasure of this apartment is the central location from where you can watch city life go by. House Rules Camden Central - Boutique Apartment takes special requests – add in the next step! Camden Central - Boutique Apartment accepts these cards and reserves the right to temporarily hold an amount prior to arrival. Please note that card used to make the booking has to be present at check in along with a matching photo ID. Please inform Camden Central - Boutique Apartment of your expected arrival time in advance. You can use the Special Requests box when booking, or contact the property directly using the contact details in your confirmation. heating initially had problems but that was a very minor issue. yes there is a bit of noise at night but thats what one would expect for its location. Its clean and well thought of. Just opposite the metro station, very noisy at night. The front bedroom was quite noisy as it is on Parkway and right next to a big intersection with High Street which is pretty busy in the evenings. Little noise in the rooms facing the center. But I expected it as it is located in the center of Camden Town. Unfortunately the sofa bed is pretty small for 2 people, it's ok for one person, but too small for two. Only complaint is the trafic noise in the bedroom turning to Parkway. Constant noise day and night, particularly with two children under three. Small en suite.